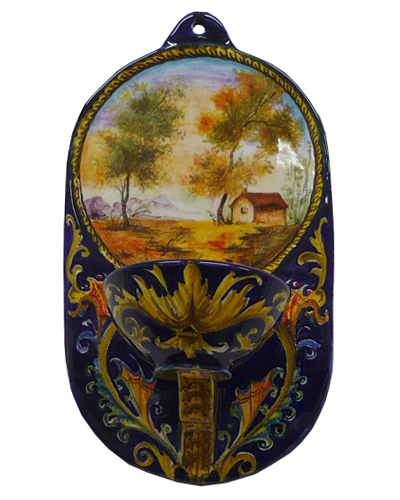 The use of these containers of Holy Water became common in Churches around the XIth century. 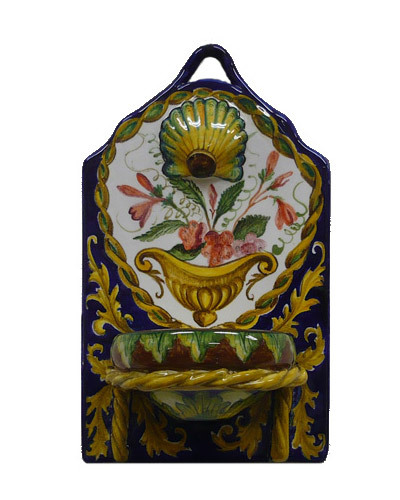 The word “Acquasantiera” (Holy water stoups) started to be conventionally used to designate the object in the XVIIIth Century. 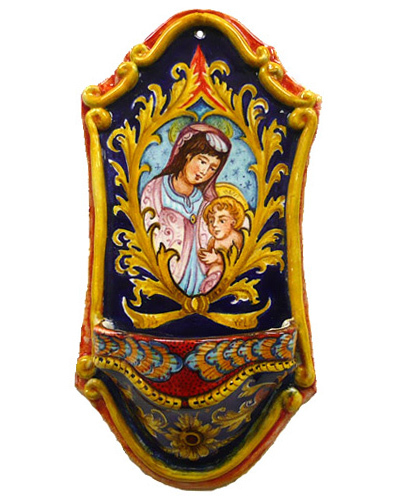 Besides Churches, holy water stoups are found in Catholic households, where people, according to the Catholic tradition, dip their hand before making the sign of the Cross. 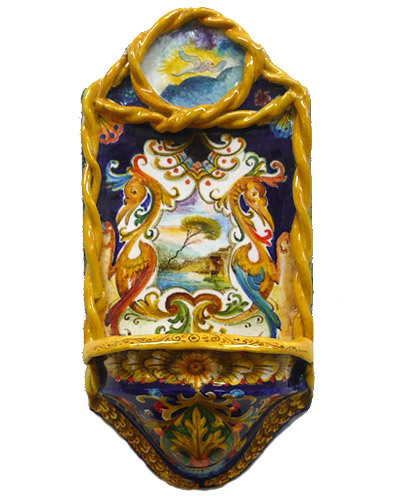 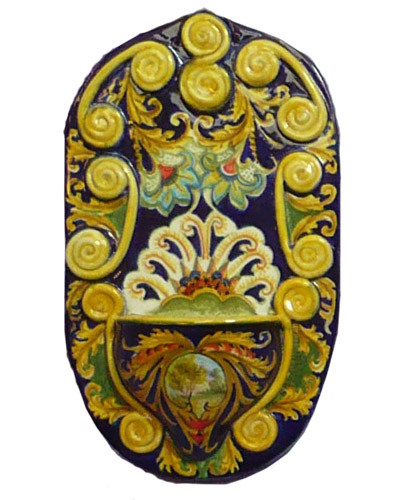 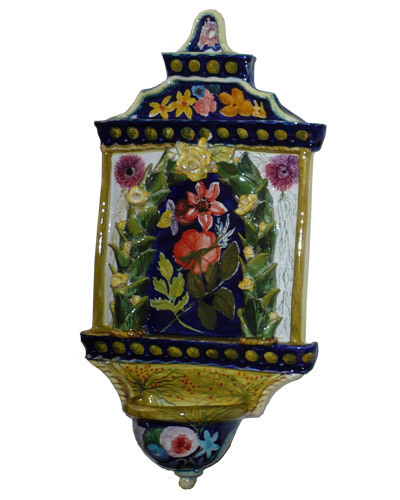 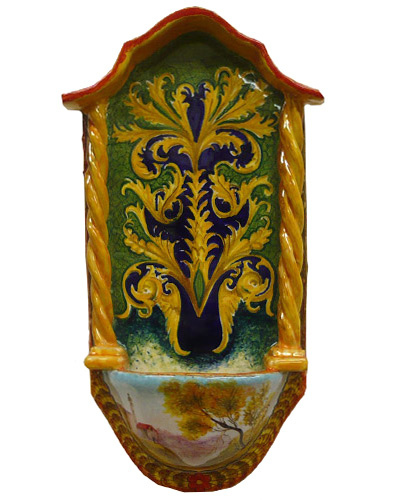 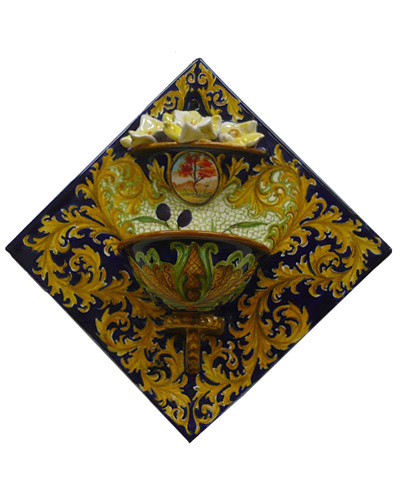 Available in different shapes and designs – such as Garofano, Compendiarlo, La Rosa, etc – they are all manufactured according to the ceramic tradition of Faenza. 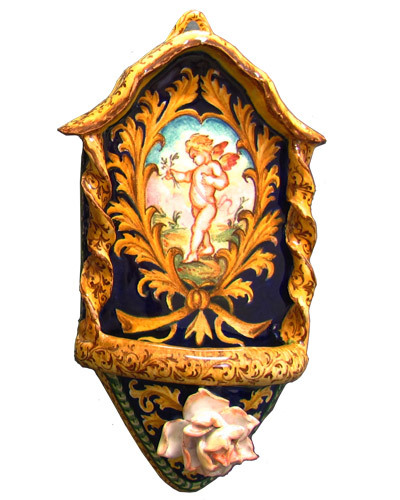 These unique pieces are entirely shaped by hand, without the aid of a mould. 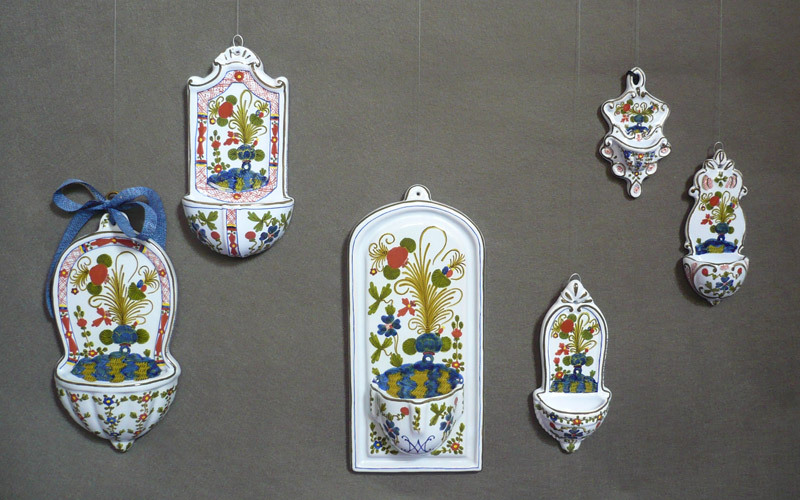 They are decorated with weaved leaves on a blue background and embellished with landscapes, flowers or holy images. 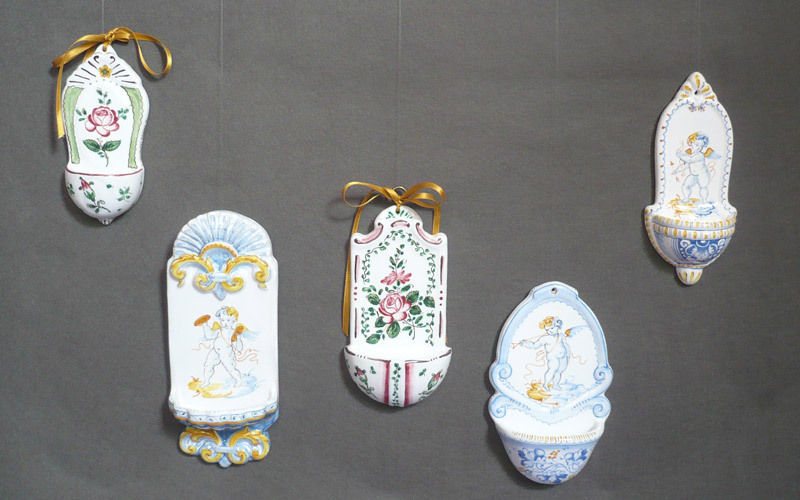 They can also be made to order.